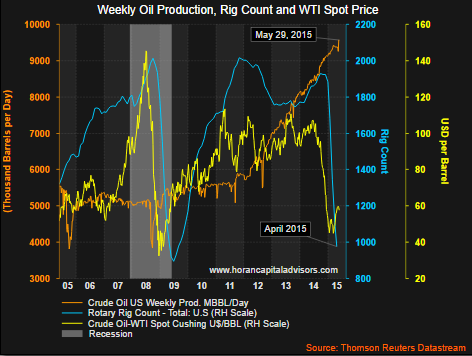 HORAN Capital Advisors Blog: Lower Oil Prices Ahead? A strengthening US Dollar places downward pressure on oil prices and the Dollar's recent weakness is likely a temporary one. 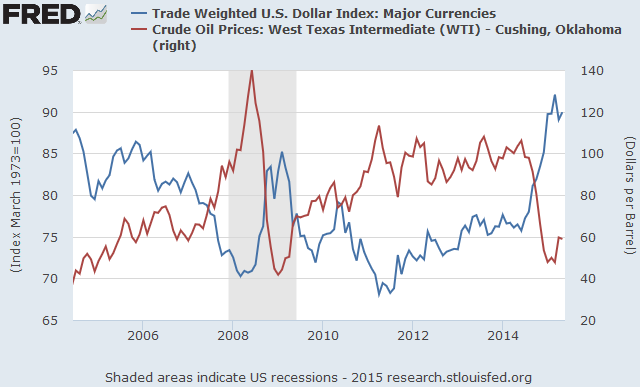 The red line in the below chart shows the Trade Weighted Dollar has again started to strengthen; thus, one factor that will be a headwind for oil price increases. An earlier post, Interest Rate Policy To Impact The Dollar And Commodity Related Industries, discusses the relationship between the US Dollar and oil. 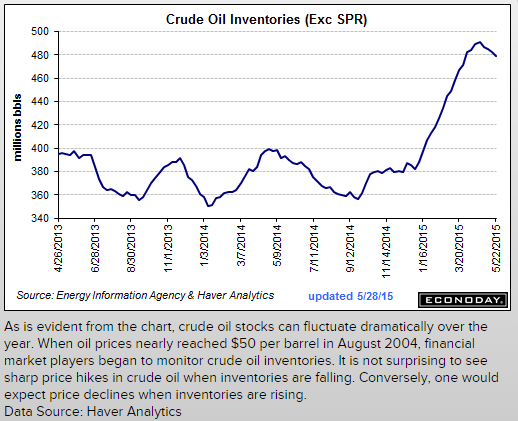 Looking ahead to the balance of the year, market factors are in place that seem likely to push crude oil prices lower from their current level.